Beard Oil – Gimmick Or Grooming Essential? When a barber recently applied beard oil – and it made my beard smell great and feel smooth – it got me thinking, is beard oil more than just a gimmick? 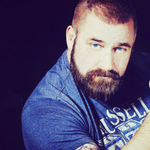 This entry was posted in Gay Community, Gay Interviews, Gay Life and tagged beard factory, beard oil, gay beard blog, is beard oil a gimmick, nordic beard factory, nordic beard oil on by .